The KCT’s South Island winter advocacy tour has been run annually since 2008. The 10-12 day tour provides the KCT team with an opportunity to connect directly with South Island communities. Every year we have a different theme with a presentation providing up to date information about threats to kea and efforts to protect them followed by relaxed discussions to find out directly from communities about local concerns and interests. Our tour theme this year, The Power of Community, will look at how communities are getting together to save kea here and overseas and we will also look at international species examples for inspiration. We will be inviting someone from each of the communities we visit to tell their story of how they are helping their local kea and then will discuss ways in which others may get involved in local kea conservation initiatives. Mon 24th July – Te Anau: DOC VC – 6.30pm. Tues 25th July – Wanaka: St Johns Room, 4 Link Way – 7pm. Wed 26th July – Dunedin: OTMC Clubrooms, 3 Young St, St Kilda, South Dunedin – 7.30pm. Thurs 27th July – Mt Cook: Unwin Lodge, 5355 Mount Cook Road – 7pm. Sat 29th July – Arthur’s Pass: DOC Visitors Centre, Main Hwy – 7.30pm. Sun 30th July – Hanmer Springs: Hanmer Springs School, 6 Cheltenham St – 2pm. Mon 31st July – Golden Bay: Golden Bay Community Centre – 7pm. Tues 1st August – Westport: Sue Thomson Casey Memorial Library, 87-89 Palmerston St – 7pm. Wed 2nd August – Nelson Lakes: St Arnaud Community Hall – 6.30pm. Thurs 3rd August – Hokitika: RSA building, 22 Sewell Street, Hokitika (next to the library) – 7pm. Wed 9th August – Queenstown: WSCA, 10 Memorial Street, upstairs down the alleyway – 6.30pm. The 2016 advocacy tour ran 27 June – 7 July. The tour theme was “A Kea Revolution – transforming perceptions to save the world’s only mountain parrot.” This tour looked at the process of changing the negative attitudes towards kea (built up over the 100 year bounty), into the battle today to save the species from extinction. The presentation showcased how local communities around the South Island and supporters around the world are banding together to halt keas slippery slide into oblivion and then brainstorm ways each of us, whether children or adult, can get involved in this new kea revolution. A total of 12 community talks (275 attendees) and 1 school talks (7 students at Mt Cook school) were run over the 11 day period. 4 community talks were delivered in conjunction with the Community – Kea Project Plan CEC for the upper half of the South Island, Andrea Goodman (Arthurs Pass, Nelson Lakes, Motueka and Murchison). Additionally, meetings were held with Department of Conservation and other stakeholders as requested ((Arthurs Pass, St Arnaud DOC, Te Anau DOC). An additional 78 people put their names down to join the Kea Revolution (Kea – Community Project Plan) email list. 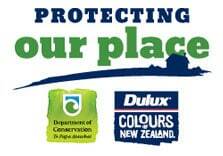 Dulux again funded this year’s tour. In previous years costs have come in around $3,360 to over $8,000. This year the total cost of the tour was $3,065. Costs were again reduced this year due to extensive in-kind support by each of the communities visited. Only 1 night paid accommodation was required (Mt Cook) and the tour vehicle and diesel was provided by Department of Conservation Wakatipu. A total of $292 in individual donations was also received during the tour. This year’s advocacy tour ran 20 July – 3 August. The tour theme was “Building a future with kea” (refer promotional poster attached in the appendix). The reason this theme was chosen was ostensibly to promote a new MOU between communities and kea (refer appendix) which aims to i) facilitate long-term community kea conservation initiatives and ii) to change the way we think, act and live with kea in our communities. The desired outcome from the tour was to gain at least 3 signatories to the MOU to start this process which will lead to development of individual local Community – Kea Project Plans (this initiative is in line with our Strategic Plan – Objective 3). The tour began and ended in Queenstown. Talks were delivered to the following communities: Franz Josef – Hokitika – Greymouth – Nelson Lakes – Motueka – Nelson – Arthurs Pass – Christchurch – Mt Cook – Queenstown – Te Anau – Wanaka. A total of 2,729kms was covered during this time. A total of 11 community talks (275 attendees) and 6 school talks (429 students) were run over the 10 day period. 5 kea education boxes (refer appendix for details of contents) were left behind at the following locations to enable ongoing delivery of kea conservation education opportunities – DOC St Arnaud, Natureland Zoo, with Andrea Goodman (Conflicts Coordinator) for use in the Motueka area, with Maree Goldring for use in the Springfield/Darfield/Christchurch area and at Mt Cook School. Additionally, meetings were held with Department of Conservation and other stakeholders as requested (Franz Sky Dive, St Arnaud DOC, Arthurs Pass Wildlife Trust (APWT), Ashbec Trading and the Eastern Falcon Trust). Kea fans in bid to change attitudes – Wanaka sun – 30 July 2015. Radio interview – More FM – 3 August 2015. Rare Encounter – Otago Daily Times – 4 August 2015. A list of 47 volunteers was generated during the tour (refer appendix for details). A number of school talks were also delivered during the tour. For the younger crowd the theme was ” Naughty but Nice” , and for older students we looked at brainstorming ways on engaging younger people to get involved in kea conservation initiatives. This year’s theme was “Conflict – impacts and solutions”. The reason this theme was chosen was because of increasing conflict events arising between residents in the Motueka area (Kaiteriteri – Tasman) and kea (2013-2014). We were informed that DOC had received threats that kea would be removed by residents if not translocated. As a result a number of kea were translocated by DOC to Canaan Downs (September 2013) followed by removal of those which returned, to Nelson Lakes by the KCT (October 2013). The fate of these birds is currently unknown. Further conflict events in Tasman have ended with kea suddenly disappearing after the property owners were informed the kea would not be removed by DOC or ourselves. Concerns have been raised about their safety as well as the safety of any future kea considered a nuisance by locals. 3.2.3 Project: Research methods of conflict resolution. A total of 11 community talks (270 attendees) and 3 school talks (1,473 students and teachers) were run over a 10 day period. In addition, meetings were held with Department of Conservation and other stakeholders as requested. The Kea Conservation Trust Advocacy Tour was initiated in 2008 and has been run annually for the past seven years. The Advocacy Tour was developed predominantly as a method to connect with communities throughout the South Island. The talks not only provide an opportunity for us to share information with communities about the particular (and often peculiar) issues facing kea in their local area but also provide an opportunity to explore the role of communities and stakeholders (in collaboration with the KCT), in protecting kea.